Comment: We had roof maintenance done in October and it was suggested at that time that our chimney/fireplace needed attention. Don't know if our issue would involve an insurance claim or not but we've lived in our house since 1981 and it was built in 1974 so it has had years of wear and tear so it needs attention. Comment: Would like to out a gas insert into an existing wood burning fireplace. Comment: The glass on front of fireplace gets very sooty quickly. Comment: Free standing propane heating "stove" does not seem to communicate with its remote electronic thermostat. Likewise, manual start/stop is undependable. Need it working before the weather gets cold. Comment: 25 year old natural gas fireplace. Unit pilot light is out,will not stay lit. Fireside Distributors of Oregon, Inc.
18389 S. W. Boones Ferry Rd. Troutdale Fireplace & Wood Stove Contractors are rated 4.77 out of 5 based on 358 reviews of 11 pros. 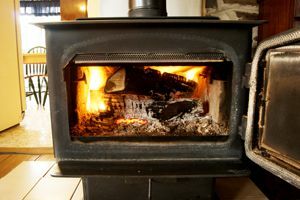 Not Looking for Fireplace & Wood Stoves Contractors in Troutdale, OR?